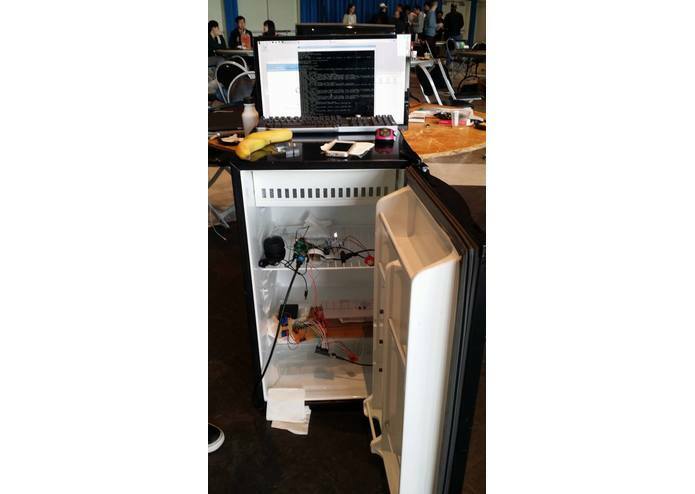 We built a hardware hack for Idea Hacks (2016) that utilized many different components to monitor your fridge and provide real time updates of these stats to your mobile phone. Have you ever had the munchies while you’re out and wanted to look at your fridge? Have you ever been in the grocery store and forgotten if you have milk or not? Or if your roommate took the last slice of pizza? Have you ever wanted to rock out while preparing your breakfast? 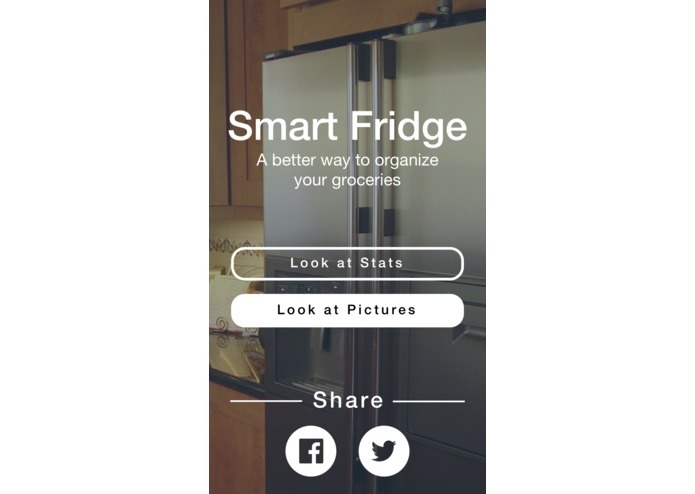 We present to you Smart Fridge. The twenty-first century solution to your food needs. 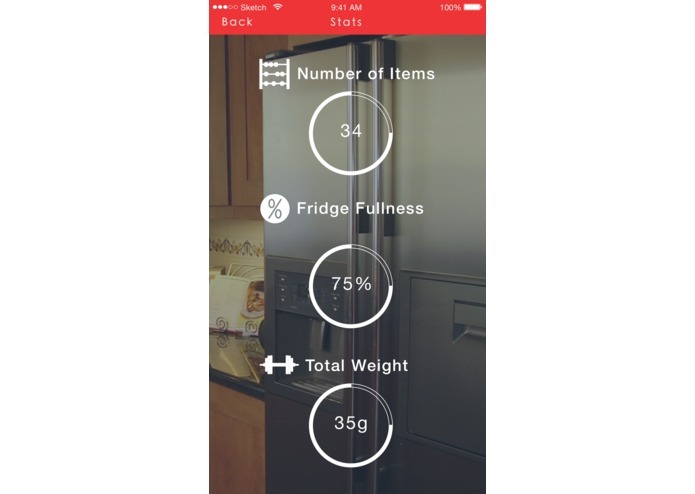 Walking through some of the features we provide, we utilize object recognition which in collaboration with our mobile app will keep track of how many items you have in the fridge, creating a sort of electronic shopping list. We also have proximity sensors to trigger your favorite tunes, basic statistics (number of items, fullness, total weight), and a social media aspect. The fridge can post its stats to Facebook and Twitter to alert you of its low contents, shaming you into buying groceries. Another feature is capacity/weight to tell you your fridge is running out of groceries. We also added a party mode that uses speakers and lights to make your fridge more fun to interact with. We utilized a variety of technologies to implement our product including hardware such as the Arduino to control our weight sensor data and led bulbs, measure fullness of the fridge, and send over the data to a Raspberry Pi. 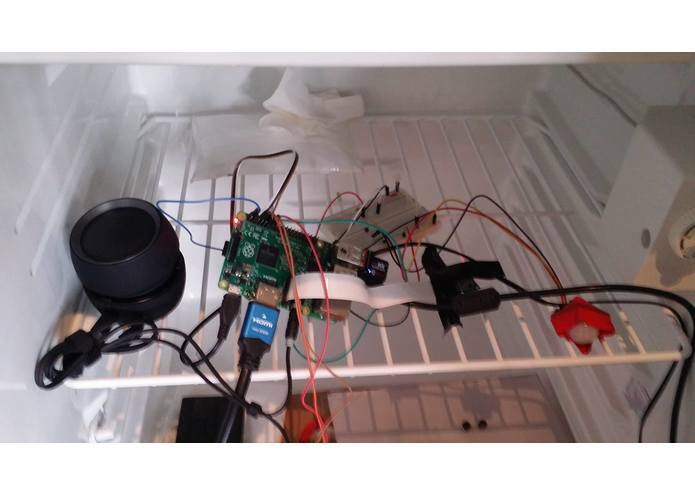 With the Pi we used neural networks and a camera module to take pictures of food items in the fridge, recognize the object and then update the inventory count, afterwards we sent our data from the PI to our node.js server which was hosted on Heroku. Finally we fetched this data and displayed it to the user in an iOS application we built for the user's convenience. 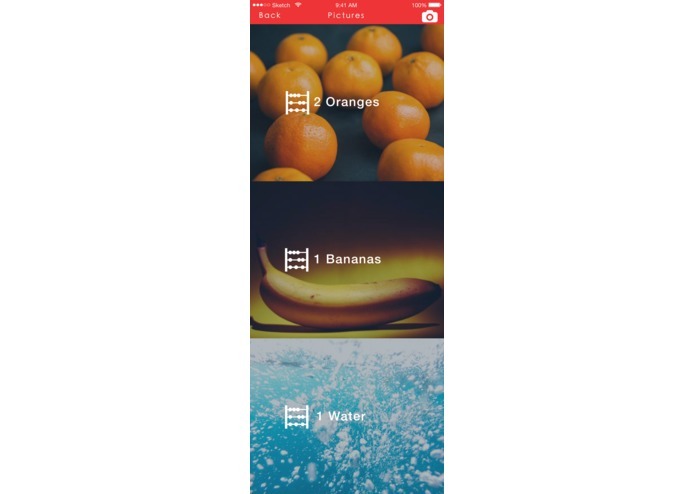 We hope to add more features that add more customization, allowing for better object recognition and greater control over your fridge by implementing features like temperature control and gathering of more data. 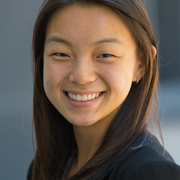 I worked on using Machine Learning techniques to build Object Recognition system on Raspberry Pi. I also worked on communicating with Arduino from Pi through serial port and posting data to server from Pi. I worked on the back end of the application, creating a Node.js API for both the iPhone and Raspberry Pi to interface with. To get data from the Pi to server, I also wrote a Python script to send POST requests. 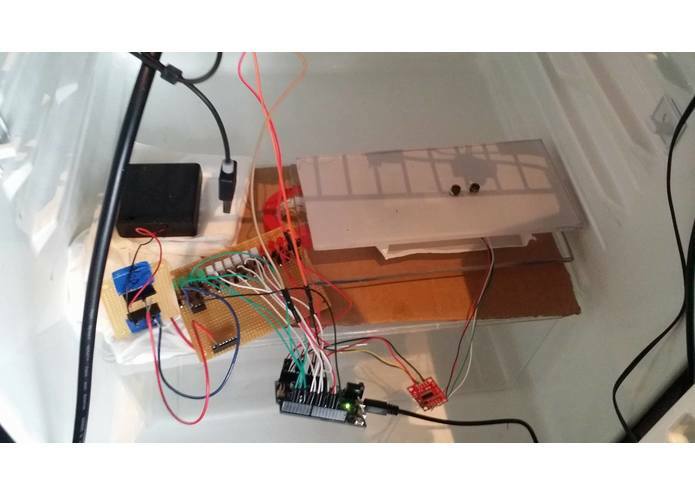 I worked on the scale for weighing food content and the proximity sensor placed in the fridge. I used a Raspberry Pi to read from the PIR sensor and assembled the scale from plastic scraps, a load cell, and an Arudino Zero.